Do you know when it’s time to look into alcohol and drug rehab? Many times when people are engaged in unhealthy behaviors they may not be aware that they need help, even if others around them do. Due to movies and television shows, everyone has heard of alcohol and drug treatment centers but many people choose to remain in denial when they need alcohol and drug rehab treatment. The following is a list of common signs that point to the need for treatment intervention by a qualified alcohol and drug treatment center. Being confronted by loved ones. Have friends or family members pulled you aside to confront you about your behavior? If people who know you well are confronting you about your use of alcohol or other drugs, this is a sign that maybe your behavior is getting out of control. People discuss issues like this when they are concerned for their loved one’s safety. You should never take these types of confrontations lightly. Work related issues. Do you have difficulty showing up for work on time or are absent a lot? Has a supervisor spoken to you about your lack of productivity? People struggling with addiction often times have difficulty showing up for work and being fully present. Absenteeism is high and many times concentrating on work related tasks can be difficult. Many in alcohol and drug rehab have struggled with this issue. Problems with the law. Have you been arrested due to your behavior stemming from your substance use? 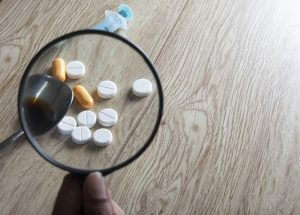 Many people who struggle with substance abuse find themselves mired in the criminal justice system, paying exorbitantly for defense attorneys due to their behavior, while under the influence of a substance. Are you one these people? A knowledgeable alcohol and drug treatment center can help. Using to alleviate stress. How do you manage your day to day stress? Someone who struggles with substance abuse will often use that substance to manage their stressors. Initially, this may work for a brief time. However, over time, using a substance to manage your stressors will only create more stress in your life. If your stress management strategy relies on using a substance every day, it’s time to consider getting help at an alcohol and drug treatment center. They can teach you much more effective ways at handling your stress. Losing time. Are you experiencing blackouts? Are you waking up not knowing what happened the night before or unable to account for various periods of time in your day? Such consequences of use are dangerous and can fatal. If you are experiencing this issue, you should immediately seek treatment at an alcohol and drug treatment center before it is too late. Tolerance. Do you find that you need to use more and more in order to get the same effects as before? Or do you find yourself using every day just to maintain your behavior and get through the day? If so, then you have built a tolerance to that substance. Your body needs more and more of that substance in order to make you feel normal. Or worse, your body has begun to adapt to the substance and actually craves it, in order to function. A medical detox may be necessary before you can begin alcohol and drug rehab due to such a severe tolerance issue. This is the most dangerous sign of substance addiction and should not be treated lightly. Ultimately, has your life become so unmanageable that you don’t even recognize it anymore? If so, now is the time to seek alcohol and drug rehab. Alcohol and drug rehab treatment centers are designed to work with you and help you through this difficult time in your life. A good alcohol and drug treatment center will make sure that you have the proper tools to get better and fulfill your life goals. Finally, if you know of someone who fits these signs and feel that they need alcohol and drug rehab – show them this list, you may be saving their life. I completely agree that tolerance is a major indicator that you need help with your substance addiction. My brother-in-law is an alcoholic and he told me that the effects of the alcoholic drinks were not the same as when he started. I would seriously consider advising him to seek professional help in dealing with his alcoholism in the near future.